We knew Asheville, North Carolina was famous for their craft beer, farm-to-table food scene and the cool outdoors vibe; but we didn’t expect this small town to be filled with so many unique adventures. 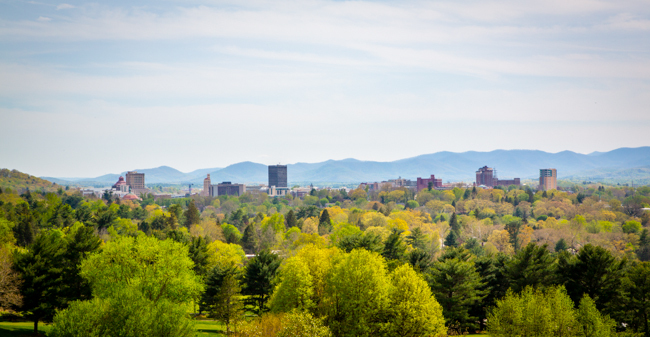 Asheville is located in the Blue Ridge Mountains where the French Broad River and Swannanoa River meet. It’s a college town, it’s the largest city in western NC and it’s been nationally recognized by a countless number of magazines as an awesome place to live (seriously, look it up, from AARP to Rolling Stone it seems everyone wants to visit or live here, Asheville’s like the “it” place right now). We began our Asheville adventures with NOC doing a nice half-day paddle down the French Broad River, the third oldest river in the world. We were actually in town a little before the rafting season really kicked off, but the guides were nice enough to accommodate us even though it was cold and rainy. The half-day trip only hits a few class II and class III rapids so it’s the perfect rafting trip for beginners, or for those who don’t want to get too wet! 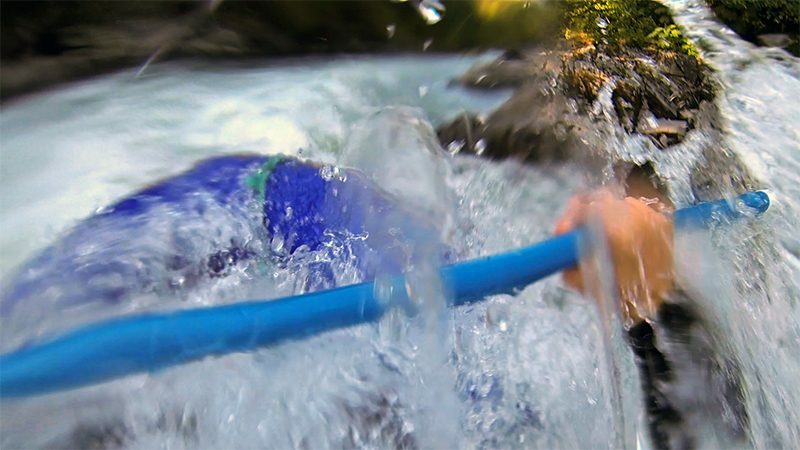 If we would have come later in the summer we could have challenged ourselves more with the full-day whitewater trip which includes 3 more miles of paddling plus the class IV drop called “Franks Bell’s Rapid”. Cost: About $50 per person plus a tip. 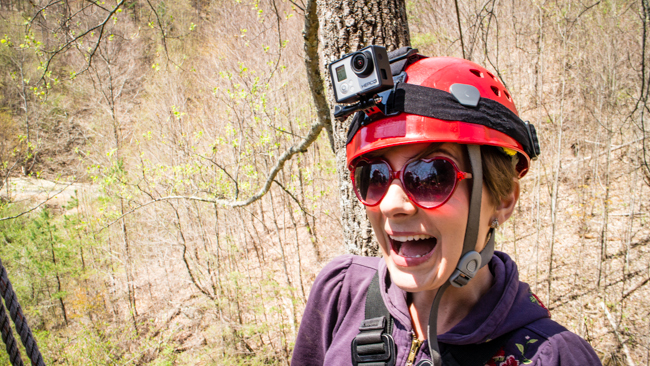 Our Next Asheville Adventure took us high into the sky, way above the canopy of treetops. 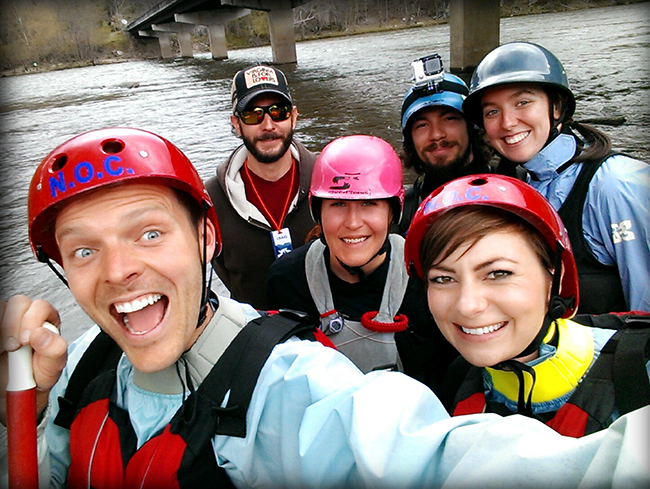 We joined Navitat and our two guides Jeff and Elena for the “Moody Cove Adventure” zipline tour. We chose this particular outfitter for two reasons: 1) they have a passion for the forest including a huge sustainability program, which we like. 2) This tour has been ranked one of the best in the US by multiple national publications. We were not disappointed on either point: Jeff taught us way more than we ever wanted to know about trees, from their sexual fragrances to their chemical warfare techniques, its obvious he loves his job. Elena gifted us zipline names me: Flying Monkey Nikki: Ladybug. With killer views of the Blue Ridge Mountains, 10 different zips, 2 rope bridges that soar above the forest floor and 2 rappels make this adventure one helluva way to kill an afternoon. Cost: About $100 per person plus a tip. When I first met Alan “the Mushroom Man” from No Taste Like Home, I thought to myself “where’s the crazy guy I saw in the YouTube rap video?” We met up with Alan at his house before driving up the mountains and into the forest in a small SUV as he debriefed us in a calm, soft spoken voice. When I first turned the camera on, Alan blushed and said “I hate those things…they make me so nervous”. I figured this was going to be a total waste of time…but was I ever wrong. Once in his element Alan took over all conversations, almost never shutting up (in a good way, he had our undivided attention). 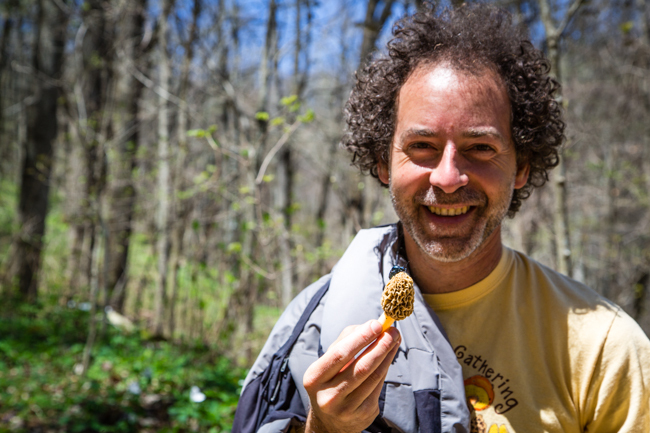 He knows so much about these woods and the foods on the ground but at the same time he’s not boastful claiming that he’s always learning and growing as a forager. I could have easily made a one hour documentary about our forage with Alan. There was so much excitement, learning , experimenting; I wish I was a better wordsmith to share with you how truly amazing this adventure is. If you have the opportunity to visit Asheville then this tour, no, this life experience is worth every penny times 10! On another note if you didn’t make it to the end of our video above make sure you catch the “short version” of the rap that originally peeked our interest in meeting Alan; and if you pay particularly close attention at the beginning (and the end) you can see just how timid yet full of energy Alan is. Cost: Starting around $60 per person. 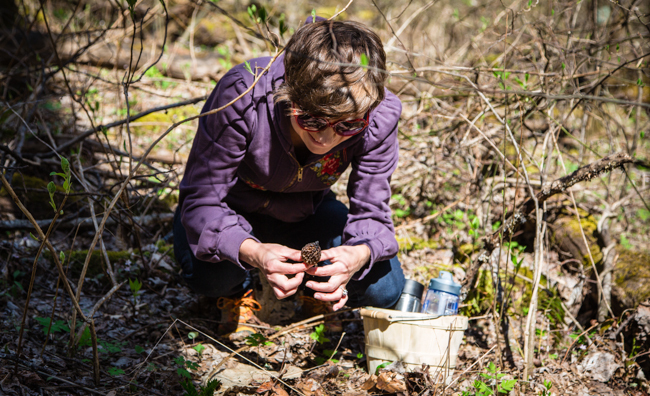 At first spotting a morel mushroom seems equivalent to finding a needle in a haystack…in some sense it is very rare to stumble upon these little guys, but once you get the knack it’s wild just how many you can find! Since 2001 drummers, and percussionist, have been congregating every Friday around 6pm at Prichard Park for an impromptu drum circle. Black, White, Rasta, Pajamas, Suits, Tourists it doesn’t matter who you are or what you wear, you’re invited to dance, drum or just watch this event unfold before your eyes. Literally hundreds of people fill this small downtown park to connect through the mesmerizing beats. We came upon the event in full swing and we couldn’t believe our ears, our eyes or our hearts. The music and diversity just makes you want to hug everyone in a brotherly embrace. Before we knew it two hours had flown by and we were late for our dinner reservations! ooops. 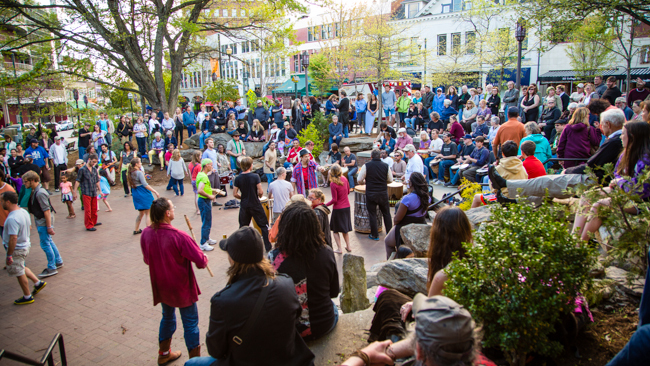 The Prichard Park Drum Circle is not to be missed if you’re in Asheville on a Friday evening (hours are not set in stone but tend to be from 6pm-10pm during the warmer months). Cost: Free for everyone. We parked the RV just a few miles outside of Downtown Asheville at Wilson’s Riverfront RV Park. The campground is nothing fancy but it is on the river and they have shaded spots, concrete pads, free WiFi and full hook-ups. The greenway runs right through the campground so one afternoon while taking Singa for a walk, our newfound foraging skills kicked in and we hit the jackpot! Yep, that’s about $50 worth of shrooms we found just a few hundred yards away from our RV. For us this little RV park was the perfect base camp for our Asheville adventures. Cost: $30/night or $190/week. 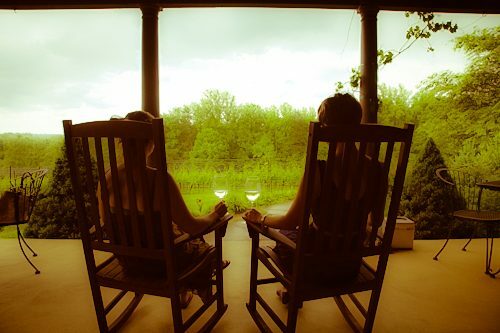 Nikki and I keep a short list of places that we might consider calling home one day and we’ve just added Asheville! Can’t wait to visit this amazing town again. Have you been to Asheville? 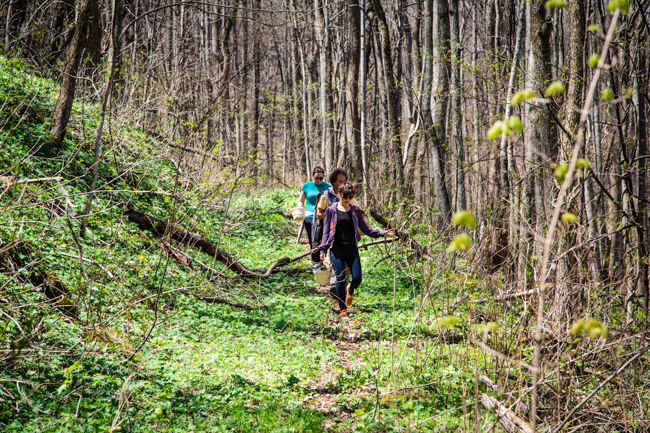 Have you ever foraged for your own food, flown on a ZipLine or hit the river for some whitewater? Share your thoughts in the comments below. Disclaimer – Before we arrived in Asheville, NC we reached out to the Tourism Board of Asheville because we knew this was going to be a town we wanted to dive into. Care to share your short list of places you might settle down? Me and my wife are heading out on a similar adventure as you guys. We are in Asheville right now! Glad to hear that you enjoyed our fair city. Please come back again! We just stayed near Asheville in Franklin. We looked on Good Sams for a high ranked RV resort in NC and this was ranked the highest. It is a very small town but the people and the scenery and food were fantastic!!! There is a restaurant there called Café Rel that was just visited by the food network. We were only there a week and ate there twice. I would highly recommend this park. The Great Outdoors RV Resort is the name of the park. Thanks Tiffany, next time around we’ll have to look into it. Thanks for the tips on fun things to do in Asheville! I am headed there for my first visit in early Sept. Looks like a great place. As a fellow traveler , but currently working and off the road, I love living vicariously thru you guys. Keep having fun and keep on truckin’. Thanks Chad! We really loved Asheville and hope to get back there again. Have fun and if you go foraging, tell Alan we said hello! and Alan’s rap session was great! I remember mom taking Cindy and me into the forest and looking for violets and then letting us eat them. Fond memories of those times! I’ve kayaked (with a guide)and rafted that river. We loved Asheville, can’t wait to go back and drink more beer and hit a more difficult river. I am so glad that you two made it to Asheville. My wife and I are from Chattanooga, TN, but we fulltime in our RV right now. But Asheville is where we will, one day, lay down our roots and build our sticks and bricks. Asheville has so much to offer and has stolen our hearts. It was love at first sight for us 🙂 So happy that you enjoyed the city! Someday please post your list of ‘settling down’ spots. In the future you will probably be adding ports to that list. I saw the gleam in Jason’s eyes motoring a sailboat. Thanks for a great Asheville, NC video. Sorry we didn’t know about those attractions when we were there. Loved the video! I’ve lived in Asheville for 10 years and it never ceases to amaze me. Hope you make it out way again soon! Awesome video! Especially Nikki going wheeeeee… down the zip line. Thanks Paul! I kinda like flying! Your description of Asheville is spot on. I used to live in Durham, NC and my husband’s job took us to Asheville for 2 short stints, in summer and fall. I just loved those times. Asheville has so much to offer both cityfolk and nature lovers. It’s just perfect. I sure do miss it. It really is the perfect mixture of city and nature! So the question is, where are you living now and is it as lovely as Asheville? Yes, Alan is quite the character! When you make your way back that direction, I highly recommend his tour! It was definitely my favorite adventure. What great adventures! 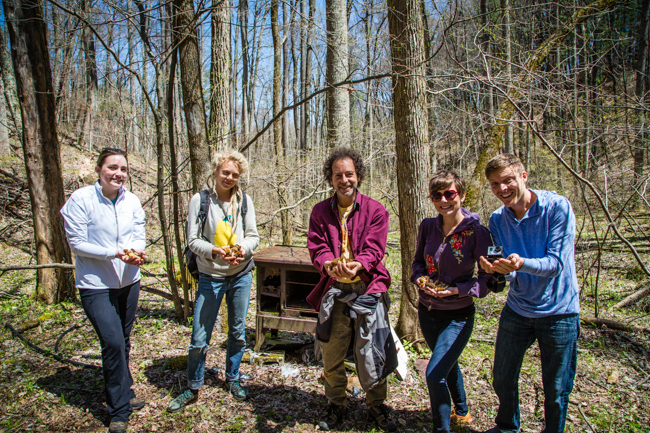 Looks like a worthwhile place to visit and the foraging tour looks amazing. Really enjoyed the video too! Did you get to cook up the mushrooms Nikki? You know it! 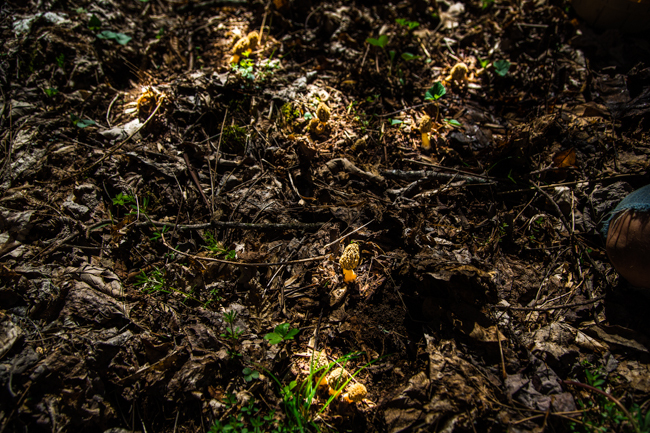 Morels + white wine + cream + pasta = yummy goodness! Have you ever been foraging Karin? And last but not least: Cookout Burgers. They’re kind of like In ‘N Out burgers. Very good, and reasonably priced. Asheville is a beautiful city. David we are no longer in Asheville but we did make it to most of the items on your list! 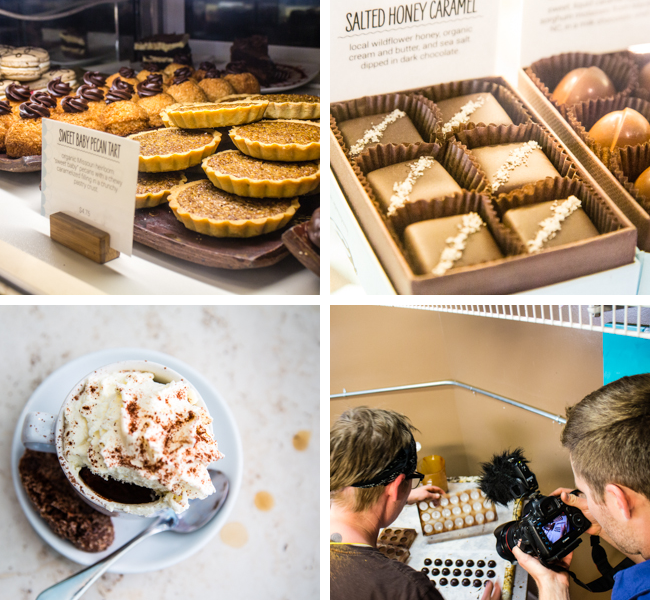 Those are coming up in the next Asheville video and as for the others, well, we will have to add those to our next visit! Thanks for the recommendations David, unfortunately it took me nearly 100 hours to sort through video and create the piece you just watched…so needless to say we’re in another state 🙂 We did visit the Biltmore, the Grove Park Inn and a piece of the Blue Ridge Parkway. Asheville is such a cool town. Our trip to Asheville remains one of my all time favorites. We stayed at a place called Campfire Lodgings – had the best view from a campground I’ve ever had. Oh…and the beer around town was pretty tasty too! Love that you are back in NC! As I mentioned during your visit to Mount Airy, going to college in Western North Carolina (Western Carolina University), West of Asheville, was an awesome experience. Asheville (or Ashe-Vegas as we used to call it) was where we went to do Big City dining and shopping! The historic downtown is amazing, influenced by the many architects from the Biltmore Estate project. A long time ago, Asheville actually went bankrupt and, in a strange twist of fate, this preserved many of the wonderful buildings you can see today. Being only an hour away from Greenville, SC puts it in a great location. It is definitely a diverse, happening place with endless activities and opportunities! Come see us if you are in our neck of the woods! ha ha Ashe-vegas, I love it! I didn’t know the town went bankrupt back in the day, very interesting as we did love all of the old buildings! We are hoping to make it back to Mt. Airy one day soon! I went through Asheville a couple times, but never got to stop. When we get to be full timers this is one place we want to go! I’m bookmarking this so I have it handy when we get there! Ahhhh yes, please stay tuned as we have other videos and articles we hope to write soon on Asheville! What a great place. Hey Guys, that is absolutely beautiful country. I was raised in the Greenville/Anderson, South Carolina area of upstate SC and spent many days and weekends in the Blue Ridge Mountains. You guys sure make it look fun and we can hardly wait to join the RV’ers of America again. I also hear a rumor that they have some pretty good shine in those neck of the woods, lol. The moon kind! I used to live about 45 minutes south-ish from Asheville and that area IS fantastic – I can’t wait to move back! If you don’t need wi-fi there are dozens and dozens of boondocking opportunities in the nat’l forests of the area. Pretty much just drive up any of the old jeep dirt/gravel roads and you will find many spots with amazing views and silence / privacy. Some sites even come with a river or stream. Frankly, I’d stay in town for wi-fi then take a few days ‘off’ and boondock in the woods for free somewhere nice, then back to town for services; repeat. The Appalachian Trail runs thru the forests a ways southwest of Asheville in many loops and swirls to hit the ‘good spots’ between Hiawassee GA and Fontana Dam — pretty much any trailhead in the woods on the FS roads will have spots for free camping – esp in a Roadtrek style vehicle. There are Dispersed Camping spots back in odd areas with vault toilets and a spigot for water and a charge of around $4 a nite! One I remember driving by even had a large Class A rig parked there with the truck campers and trailers and it had a Horse Camp next door ( campsites for those who camp w/ horses to ride the woods trails – they have horse facilities like hitching posts and leantos ) Of course, if you don’t need the vault toilet or spigot you can camp for free in any of the pull out spots accessable from the road. While tent camping in the area, I met folks who pulled up their trailer and left it there all summer and treated it as a ‘summer cottage’ they would use on the weekends; suprisingly they weren’t the only ones.  Many of the FS roads are in great shape for non-4 wheel drive vehicles, but some are not; so it’s always a good idea to stop at the Forest Service office locally and chat with them about possible good locations.  They are very helpful, have maps and suggestions and are happy to have you stop because that validates their existence and adds to their stats of serving the public that pays them with tax dollars. 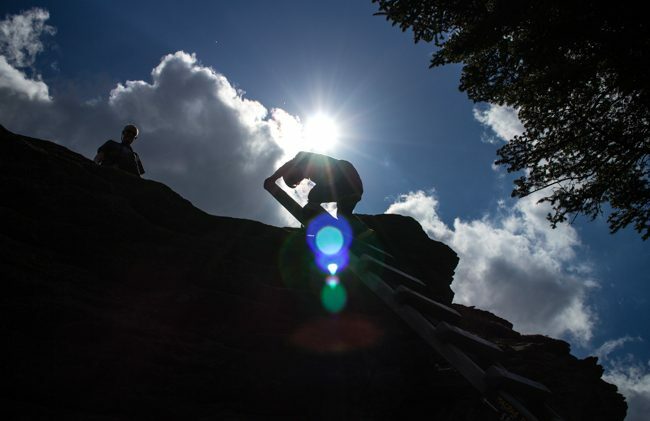 I can only speak for the FS employees in that region of NC – but I found them to be wonderful resources and WANTING responsible campers & hikers in their woods. They told me about some legal spots to camp that I would have driven past otherwise thinking it wasn’t allowed. I had a fantastic spot with parking off the road and a short walk thru the woods to a nice site by a stream with a fire ring etc. You couldn’t see the site from the road and I thought it was just a spot for trail access. Thanks for sharing Paula, we too noticed several spots for Wild Camping! We were in town for the adventures, food and booze so staying as close to downtown was our priority. If we could do it again we’d stay for a couple weeks in town and then retreat to the mountains to wild camp for another two weeks.